DrinkWire is Liquor.com’s showcase for the best articles, recipe and reviews from the web’s top writers and bloggers. 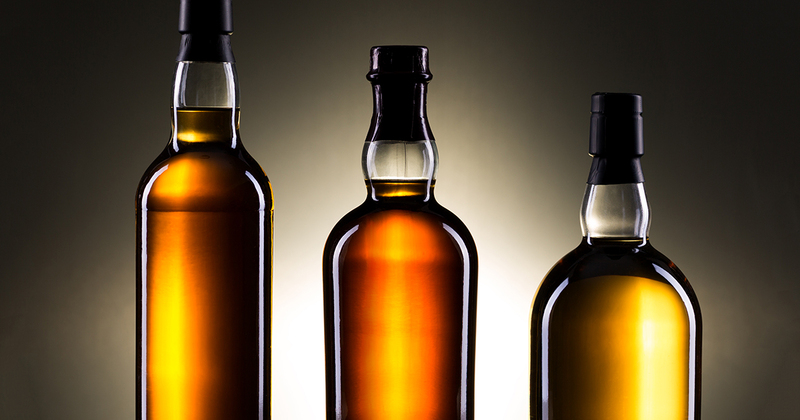 In this post, Great Dams offers up some advice on distinguishing different types of whiskey. It seems to be a common occurrence in TV shows and movies that a character will ask a bartender for a “scotch” and immediately be given a tumbler of some unidentifiable golden liquid. Perhaps the most well known category besides Blended Malts is the Single Malt. This is a malt containing only one grain, legally required to be barley in Scotland, and made at a single distillery. Malting means the grains have been soaked in water, allowing them to germinate and are then dried with hot air. This encourages the productions of enzymes that change starches into sugars. There are many different regulations surrounding the production of Single Malt, including that it must be made from malted barley at a single distillery, distilled in pot stills and has to be aged in oak barrels for at least three years. Phew! Those are some very specific regulations! But they all go into making sure the single malt you buy is consistent and of good quality! The post Scotch Categories appeared first on GreatDrams. I own and write GreatDrams.com, an award-winning online magazine for whisky lovers and learners alike. You'll find whisky reviews, news, opinions, thought pieces and the odd amusing anecdote. Speaking of which, my book, The GreatDrams of Scotland is now available to order by clicking here.